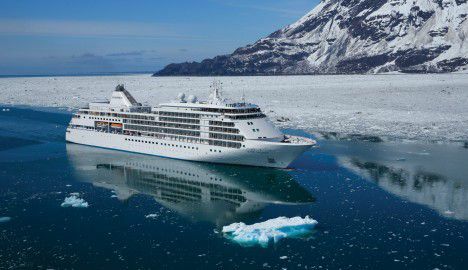 This ultra-luxurious ship is one of Silversea's Millennium Class luxury cruise ships. It has been built by Fincantieri and can accommodate a total of 382 guests. A complete luxury ocean travel experience enhanced by the small-ship intimacy and overall onboard experience. All prices above are cruise only and include a 10% early booking discount. Please speak to one of our Travel Specialist to have your holiday priced with flights and any pre or post cruise extensions. * One-hour free WIFI per day for all guests. Unlimited free WIFI for guests sailing on select suite categories. Find your perfect South America cruise call our Travel Specialists on 020 546 6222. You will start this journey in Argentina’s capital, Buenos Aires. This city is beautiful, traditional, dynamic and rich in contrasts, it is known for being two cities in one, due to its dual heritage. Parts of the city resemble European architecture but you know you are still in Latin America by the smells, the sounds, the colours, and the people. There are a host of activities to enjoy. Buenos Aires is renowned worldwide for its culinary experiences that range from dinner with a tango show to wine tasting. Why not try something completely different and explore the city on a bike tour. The options are endless and the decision is yours. Arrive at Punta del Este at around 9am and take time to fully explore this fantastic resort city. Located on a narrow peninsula in southeast Uruguay, Punta del Este, is particularly famous amongst Argentines and Brazilians. If you love beach destinations that provide a relaxed yet glamorous vibe, you will love spending the day here. There are lots of activities available for the day, but here are a few suggestions – you can play golf at the Club Del Lago, take a traditional cuisine class where you will learn how to make traditional parrilla and Uruguayan creole, you can also go on a biking excursion through the city, or even a half-day art excursion that includes the renowned Ralli Museum and the Pablo Atchugarry Foundation. Departure from Punta del Este will be around 11pm. Still in Uruguayan waters you will head to Montevideo where you will arrive at roughly 8am. When describing the Uruguayan capital, one can never save on compliments. Montevideo is not only famous for being Uruguay’s capital, but for its charisma and vast architectural legacy. In Montevideo you will see art deco buildings, colonial homes, and important landmarks such as the towering Palacio Salvo and the neoclassical performance hall Solís Theatre. Here you can do a city tour that comes with a little surprise - a tango performance at the legendary Baar Fun Fun, or perhaps, you would prefer to tempt your senses at the Juanico Winery tour & tasting. You can also have a bike tour of Montevideo or head to Colonia del Sacramento (the oldest city in Uruguay) on a full-day excursion of this UNESCO World Heritage Site. Depart from Montevideo at 11pm and spend a very relaxed evening on board. These will be days spent at sea heading towards Brazil. You can have some time to yourself and indulge in the ship's first-rate onboard facilities.The activities on offer include language and dance classes, wine tasting or a matinee movie. You can also use the Internet, visit the designer boutiques, head to the library, watch a movie in your suite or simply enjoy the sun by the pool. Whatever you decide to do, don't forget to take some time to appreciate the beautiful and unique sea views while on board. Itajay is the next destination. You will arrive in this city at around 8am and depart later on the day, at 5pm. Itajay is located in the Santa Catarina state, in Brazil, and it's a beautiful, flat city, and very famous for hosting one of the biggest festivals of Brazilian popular music in the country. It is also notable for its beautiful colonial historic centre and the impressive 'Mother Church of the Blessed Sacrament' which dates back to 1941, and features fantastic paintings by Aldo Locatelli and Emilio Sessa, as well as other valuable pieces of art. Here you can do two different excursions. The full-day 'Blumenau: German Heritage in Brazil' excursion, or the “Camboriu at a glance” half-day one. The first one will take you to the Colonial Family Museum, to a 'biergarten', and if possible also to the shops and microbreweries of Vila Germanica. The second excursion is all about experiencing the beautiful Camboriu as well as more. This tour also provides a cable car-ride from the Sul Cable Car Station to the Atlantic Forest. Experience unique views as well as guided nature trek. Next on this journey is the beautiful town of Paraty in Brazil’s Costa Verde. You will arrive here at around 2pm and leave at 11pm, make the most of the time you spend here. Paraty is one of those special places in Brazil loved by everyone. Its unique charm has attracted a lot of attention, so much so, that today the entire town has been declared a historic monument by UNESCO. Need more reasons to want to visit this place? We didn't think so! While in Paraty you can choose between 4 different activities -a cooking class with Master Chef Yara Roberts, a Paraty on-foot excursion, a Atlantic Forest 4X4 Adventure, or a Paraty Bay Cruise & Swim. All of which is absolutely incredible! You will arrive at Buzios at 12.30pm, just in time for a new array of exciting activities. Buzios is only two hours away from Rio de Janeiro and was one of Brigitte Bardot's favourite holiday destinations. Since then it has become a ‘vacation sensation’ known for its beautiful beaches and overall dreamy and relaxing landscapes. While here you can choose between 2 different excursions - 'Coastal Schooner cruise & swim' or 'Buzios by Trolley', both equally perfect for admiring the unique landscapes of this town. You will Depart Buzios at 10pm. As we said, the best is saved for last, so we hope you have some energy left for Rio de Janeiro! You will arrive here at 8am and spend the night, you will have plenty of time to enjoy this vibrant city. Rio is known in Brazil as “Cidade Maravilhosa” (Marvellous City) and definitely is a unique place in South America, it’s home to some world famous landmarks such as, Christ The Redeemer, Corcovado Mountain, Copacabana beach, Sugarloaf Mountain and especially the Carnaval! As you can see, whatever you decide to do here, we are sure it will be epic! Go on an excursion that includes an exclusive samba show or take a samba class on the City of Samba tour. The options are endless, and with a bit of luck, the caipirinhas will be too! On the next day is time to say goodbye. Enjoy your delicious breakfast before leaving, and look back at all the pictures and fun memories you have made. (Please note timings and ports of call are subject to change by cruise line). At Latin Routes we can build your truly individual holiday to South America around a cruise with Silversea. So you can see what the interior of this beautiful continent has to offer in style. With cruise-only prices starting from £4,500 per person, there's never been a better time to get in touch. This cruise will be a journey filled infused with Latin American spirit. as you will be travelling You will sail along the coasts of from Argentina to Brazil and Uruguay, and taking in all of what these two three great countries have to offer. Have you tried tango or samba? Now is the time, so come on board! Spontaneity will follow you everywhere while inencapsulates the spirit of South Latin American culture, as here you can master the art of 'carpie diem' better than anywhere else. Where better to Try new and exciting activities such as, hiking on eco-trails, while spotting endangered species, visiting charming colonial towns, filled with fascinating learning more about the regions history, art and culture, or simply spending some down time on a the beach crystal clear surrounded by crystal-clear water beach, while and indulging in a tasty refreshing Caipirinha cocktail! Sounds like fun? Truth is, the best is saved for last: Carnaval in Rio is calling for you! Why Not Add An Extension? Want to see more of South America? Speak to one of our Travel Specialists about adding a pre or post cruise extension. Our recommendations would include Iguazu Falls, the wine region of Mendoza or perhaps the wildlife paradise of the Brazilian Pantanal. Every holiday we offer is Truly Individual to you, so you can add on any destination you like! Why Book Your South America Cruise With Us?